Some of the accepted hypothesis on hyperthermophilles phylogenetic tree. The positions are based on 16S/18S rRNA phylogenic positions29. The root for trees A and B are placed in the bacterial branch30, hence making LUCA a hyperthermophile. In C, the root is placed under the eukaryotic branch making the hyperthermophile a last common prokaryotic ancestor (LCPA)31. D is unrooted, making the LCPA a mesophile. One of the biggest reason associated with origins and SHS, is related to hyperthermophiles. They are microorganism that strive at extreme heat. These organism cultivated from the vents areas could strive at 110 ℃ of heat, which could flourish at temperature up to 110℃. Several authors1,2,3, have proposed that these microbes could have close relation to LUCA. This hypothesis derives from the construction of archaeal and bacterial phylogenetic trees based on 16S rRNA sequence comparisons4. Hyperthermophiles are clustered at the base of these trees and many of their branches are short, suggesting that they have conserved ancestral phenotypic characters3. However, there are also contradicting studies, which indicate that these microbes posses “missing” enzymes, that uses other energy co-factors, instead of conventional ATP molecule. In other words, this finding shows that these enzymes have adapted to function at high temperature thus indicating that these microbes are more recent than suggested5. A limitation to this finding is that it assumes that ATP have existed long in time; this argument can be refuted if one also imagine that ATP is also a recent and high adapted energy co-factor in life. This hyperthermophiles, was the first hint which made SHS suitable for origins; however the theory is not limited to this reasons only. Baross, J.A, and Hoffman, S.E (1985) Submarine hydrothermal vents and associated gradient environments as sites for the origin and evolution of life. 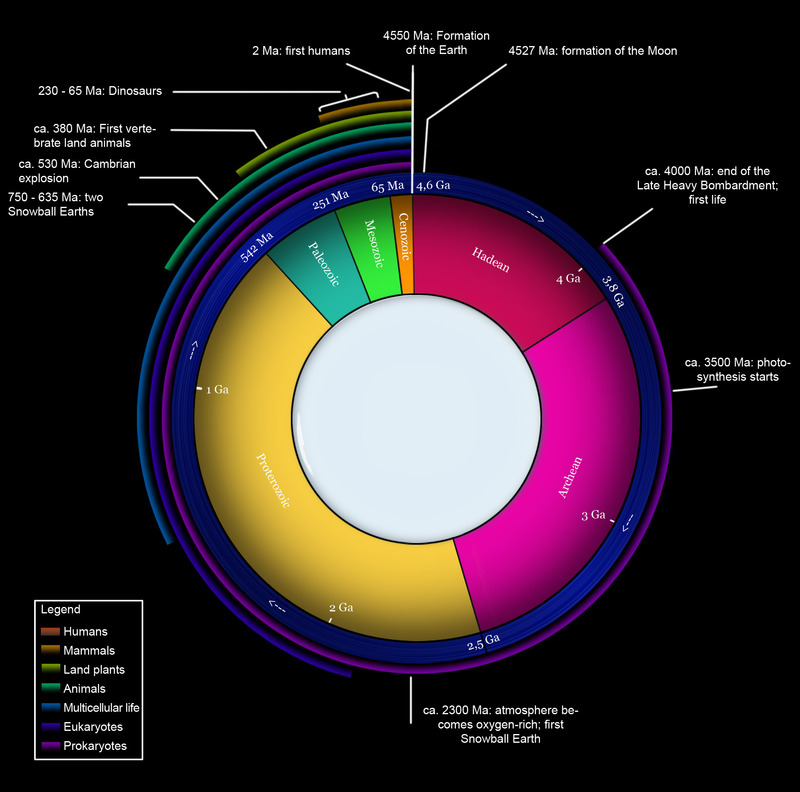 Origins of Life and biosphere 15, 327–345. Pace, N.R (1991) Origin of life–Facing up to the physical setting. Cell 65, 531–533. Forterre, P (1996) A hot topic: the origin of hyperthermophiles. Cell, 85(6), 789–792. Siebers, B and Hensel, R (1993) Glucose catabolism of the hyperthermophilic archaeum Thermoproteus tenax Microbiology Letters. 111, 1–8. 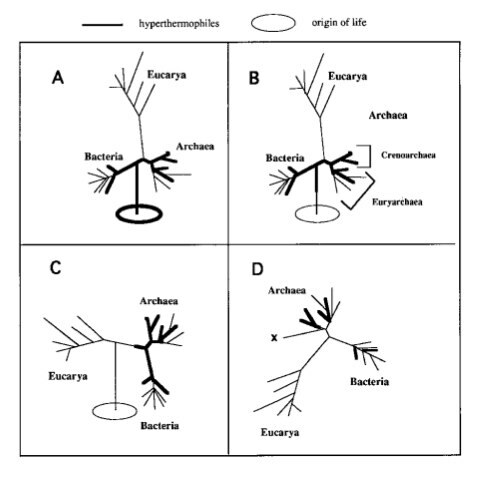 Forterre, P, Confalonieri, F, Charbonnier, F and Duguet, M (1995) Speculations on the origin of life and thermophily: review of available information on reverse gyrase suggests that hyperthermophilic procaryotes are not so primitive. Origins of Life and biosphere. 25, 235–249. Plate tectonic is the theory which unified on how the earth worked. The theory has always been there (since 1879)1,2 and was only accepted in the 1950‘s. 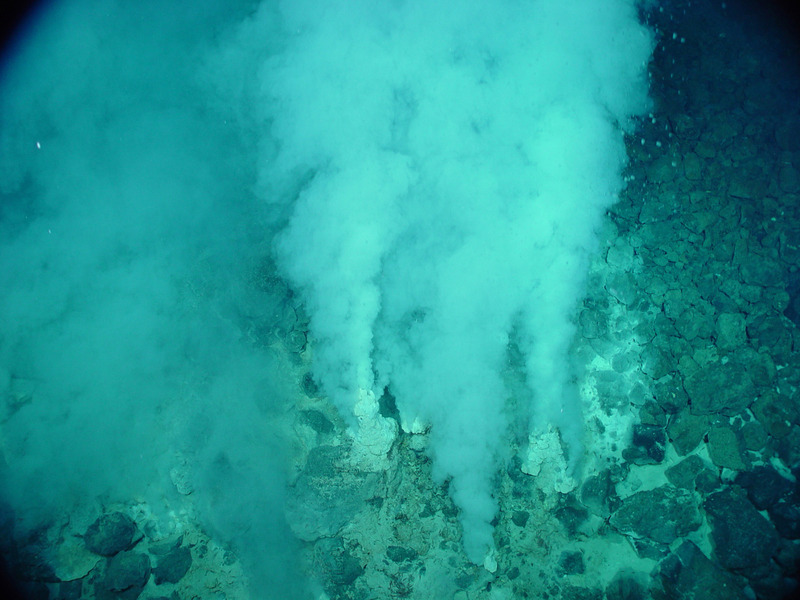 The theory also predicted the existence of hydrothermal vents; a deep-sea hot springs is formed when cold seawater seeps into magma-emitting cracks on the oceanic surface, heats up, and rises. 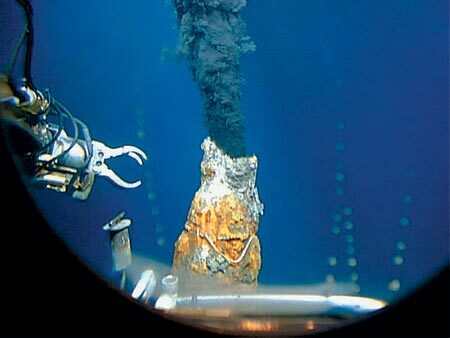 Although scientists had been actively searching for vents since the early 1960s, it wasn’t until the 1977; when the Galápagos Hydrothermal Expedition led by Richard Von Herzen and Robert Ballard of the Woods Hole Oceanographic Institution, that confirmed their existence using the famous submersible, Alvin ,3,4. The relationship between SHS and origin of life on the other hand, first came out through Jack Corliss, John Baross and Sarah Hoffman5. They claimed that the conditions surrounding the vent area provided all the conditions for life’s creation on earth. Over time this idea has sprouted and have been elaborated with many in-situ integration with simulation data. I will elaborate more on this in the next post. McKenzie, D. P (1969) Speculations on the consequences and causes of plate motions. Geophysical Journal International, 18(1), 1–32. Corliss, J. B. J, Baross, J.A and Hoffman, S.E (1981) An hypothesis concerning the relationship between submarine hot springs and the origin of life on Earth. Oceanologica Acta 4, 59-69. Corliss, J.B, Lyle, M, Dymond. 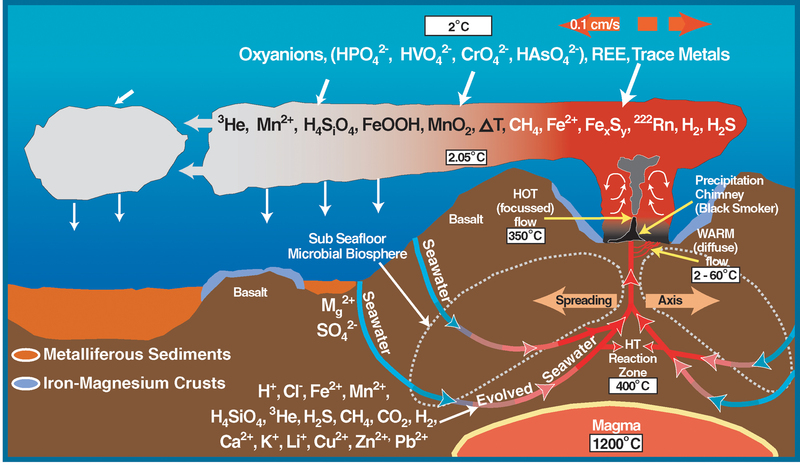 J and Crane, K (1978) The chemistry of hydrothermal mounds near the Galapagos Rift. Earth and Planetary Science Letters, Volume 40, Issue 1,12–24. Free online course on Astrobiology and the search of life. Hello world. Have you guys heard about Coursera. It’s basically a place where you can learn stuff for free (tons of it). They are now offering a course on my field entitled “Astrobiology and the Search for Extraterrestrial Life”. Click here. The course is 5 weeks long and starts on the 28th of January 2013. So i am giving you a head start here. Register in the link above, and you will get an email remainder before the courses starts. The instructor is Charles Cockell whom is a Professor of Astrobiology at the University of Edinburg, and more importantly you don’t need any background knowledge to learn this. Week 1: What is life and what are the definitions of life? What do we know about the origin of life and what are the current hypotheses for how it originated on the Earth? Week 2: What was the environment of early Earth like when life first emerged and what do we know about life on the earliest Earth? How did life evolve to cope with survival in extreme environments? What have been the major evolutionary transitions of life on the Earth? Before starting the second part, i would like to apologize for the delay. I was not super busy or anything, just being plain lazy without any excuses. Moving on, When did life actually started? No one can actually tell. However scientists believe that life could have started or originated on multiple occasion and scenarios, only to be denied by major impacts. Despite this, it is speculated that life must have started around 3.8 billion years ago, when the LHB seized. As mentioned in the previous post, the Archean period indicates, that earth has more water and minerals to make life plausible but, before that the atmosphere and the ocean has to form and cool off from HLB impacts. Only after this events, life could kick-start. Prebiotic chemistry happened during this time where the formation of lipids and peptides aggregates were formed. The idea of a “prebiotic soup” also must have happened here too. Many models were designed to imitate this period as well. The protocell or LUCA (last universal common ancestor); could have emerged right after the prebiotic chemistry has taken place with metabolic diversification (which is about 3.8 -2.5 billion years ago). However, these are all scientific hypothesis, there are no fossilized records what so ever. Overall the origin of life idea is based on several hypothesis to build the prebiotic world and it’s chemistry. This grey area is where many chemical astrobiologist (like me) are focusing on. The idea however, is heavily supported by present knowledge of chemistry and geology with the power of models. 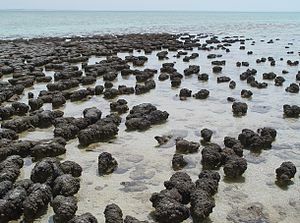 The earliest Stromatolites which is considered as the earliest micro fossils we have, is hypothesized (with heavy dispute) to have occurred right after this . 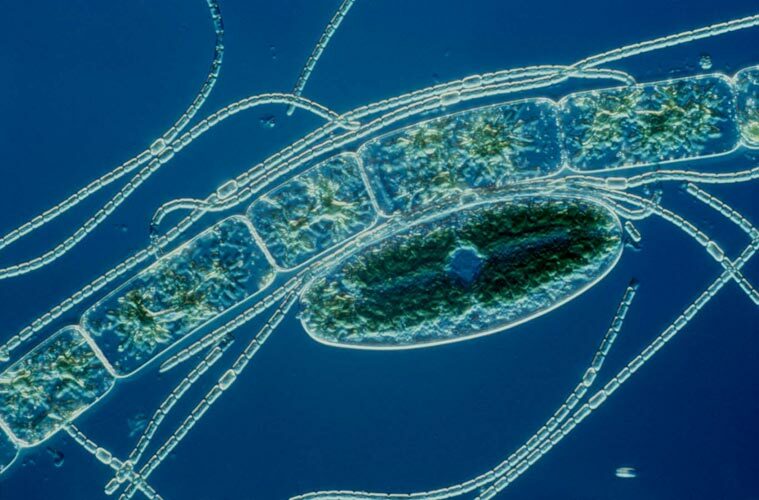 The cyanobacteria rose with the power of photosynthesis giving an influx of oxygen to earth’s atmosphere, the very reason we have oxygen now. However, it should be noted that oxygen is toxic, meaning that other life forms utilizing non- oxygen metabolism during that time, must have went extinct without evidence. The Proterozoic eon starts here. The Cambrian explosion also starts here with the increasing of oxygen, leading to life forms which were well fossilized such as Opabinia and Marrella. Watch the video above to see how these creatures look like. There are plenty of scientific evidence here. I will not be elaborating further on what happened after this. Many studies have been done, it is an establish science. We pretty much know what happened after the Cambrian explosion, but not what happened before that. That’s all for now. The next post is about the possible sites of life’s origin. Cellrelics needs your help! If you click on any of the social networking connections below, or share this post with a friend in any way, it will start a chain reaction of fun and knowledge across the world. Many thanks for reading! I first knew about the geological time scale during my college years, back then the only geological time i knew was “Jurassic” due to a certain Hollywood movie. Learning it was fun but memorizing it for exams was horrible. The lecturers will first show the scale like the one here (very very boring btw), and they will explain one by one what happened with pictures of dinosaurs, plants, ancient humans and etc. It was remarkable, but how did geologists came to this scale always puzzled me, it still does, as we have loopholes in it too. The scale is basically a convention agreed by geologists based on research which were agreeable from time to time. Here i will briefly explain some key events and how they got there. Most importantly i will put emphasis on how and when life started, the rest is evolution which you can read/view elsewhere. I will be also breaking this topic to a few parts for easy understanding. From here on, our primitive atmosphere begin to arise, which is absolutely hypothetical in case you were wondering. After this particular sequence of events, the building of the habitable earth begins. The first proto ocean were already in play after the cool down effects on earth . There are some speculation that life could have started here; but right after this, the late heavy bombardment (LHB) of comets and meteorite came showering on earth, the planet was destroyed, water evaporated completely and it was a mess. This phenomena is also observable on the moon .If you have wondered why the moon has craters, its because of LHB (despite not having tectonic plates etc). Now, The ARCHEAN period begins, which is generally the post HLB. Earth during this time has a lot of minerals and more water because of the LHB. In other words, she has received more materials to allow life to flower.